Oerlikon Plastic Spool. Filler Wire for Welding Cast and Dissimilar Metals. 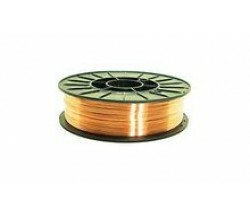 Plastic Spool A Gas S..
A gas shielded solid wire for use with the MIG welding process. The wire is copper coated and conta.. Plastic Spool. Inertfil 307 Si is a solid wire for deposition with the MIG welding process, deposit..
Oerlikon - Plastic Spool A Gas Shielded Solid Wire for use with the MIG Welding Process Depositing ..